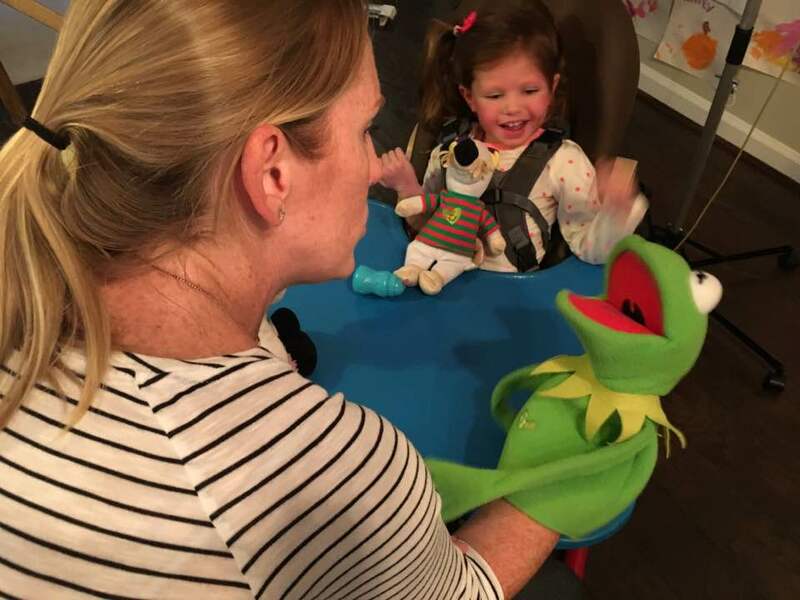 Over Laney’s months in intensive rehabilitation, Laney’s family obtained a great deal of medical equipment for use during therapy in outpatient rehab and at home. Laney’s parents have donated all of this equipment, totaling $40,000, so other children could benefit from its use. Through the group Equipment Connections for Children, Laney’s Special Tomato Chair was donated to a child who lives in Ellicott City, Maryland. The child’s mother was so grateful to have a place for her daughter to receive speech therapy and play with her toys. The young girl has a twin brother and he was happy to play with her at the table too. Also through Equipment Connections, recently Laney’s beautiful pink wheelchair was donated to a little girl from El Salvador. Before receiving the chair, the girl’s mother had to carry her around in her arms. Now with the use of Laney’s chair, this young girl can start school in two weeks.